Veterinarians, or vets, are licensed animal health professionals who are qualified to diagnose and treat pets, livestock, and exotic animals. Veterinary medicine is perhaps the most high-profile career path in the animal industry. Pursuing a Doctor of Veterinary Medicine (DVM) degree requires a significant educational and financial commitment, but the job outlook is strong for those pursuing this popular profession. The care and treatment that vets provide for animals is similar to the services that physicians provide for humans. Vets are usually assisted by veterinary technicians while performing their duties. 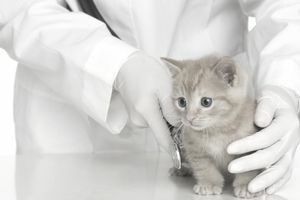 The majority of private practice veterinarians choose to work with small animals, but there are many other areas to focus on, including large animal medicine, equine medicine, wildlife medicine, mixed practice medicine, or a variety of board-certified specialty options (such as anesthesiology, surgery, ophthalmology, and internal medicine). Outside of private practice, vets also find work as college professors or educators, pharmaceutical sales representatives, military personnel, government inspectors, and researchers. A veterinarian's salary can vary depending on location, experience, and specialty. Higher salaries are generally earned by veterinarians who have achieved board certified in a particular specialty area (ophthalmology, oncology, surgery, etc). All vets must graduate with a Doctor of Veterinary Medicine degree before seeking professional accreditation in the state where they intend to practice medicine. Veterinary schools usually have a highly competitive admissions process, and it's common for an applicant to apply more than once before gaining acceptance. Education: Applicants to veterinary school must have a bachelor’s degree with coursework including biology, chemistry, anatomy, physiology, zoology, microbiology, and animal science. Coursework in graduate veterinary medicine programs includes animal anatomy and physiology, disease prevention, diagnosis, and treatment. Experience: Most veterinary medicine programs include at least years of classroom, laboratory, and clinical work in veterinary medical centers or hospitals. Licensing: Upon graduation, vets must pass the North American Veterinary Licensing Exam (NAVLE) issued by the International Council for Veterinary Assessment. Other licensing requirements vary by state. Certification: Vets can choose to become certified in one of 40 specialties recognized by the American Veterinary Medical Association, including surgery, cardiology, virology, and neurology. Compassion: Veterinarians must always treat animals and their owners with kindness and respect. Communication skills: Vets need to effectively communicate with animal owners and staff about what's going on with the animals that they're treating and how to participate in the treatment. Manual dexterity: Vets must be able to be precise with their hands when performing surgery or giving treatments to animals to make sure that they don't cause further harm. Physical stamina: Vets may be required to be on their feet for long hours at a time while treating animals and performing surgery. Handling larger animals may also require more physical strength than working with smaller animals. The U.S. Bureau of Labor Statistics projects that employment in this field will grow 19 percent through 2026, which is must faster than the overall employment growth of 7 percent for all occupations in the country. A vet can work in a variety of environments, including traditional indoor clinics or outdoor farms. The work can take an emotional toll, as it often requires working with animals who are very sick and dealing with owners who are in distress. The job can also be physically demanding, as it often requires vets to spend many hours on their feet. Most veterinarians worked full time, and they often work more than 40 hours per week. Some vets may also work nights or weekends, depending on their specialty. They may have to be on call during certain periods of time to respond to emergencies. Getting into vet school isn't easy, but you may increase your chances by following some tips and guidelines laid out in "Learn How to Get Into Vet School." All people who want to practice veterinary medicine must pass the North American Veterinary Licensing Exam issued by the International Council for Veterinary Assessment. You may also need to fulfill other licensing requirements to practice in some states. Organizations such as the American Veterinary Medical Association offer online job boards for people pursuing veterinary medicine.